Hi all! Not sure if I posted this before but it is still available in case you were interested and missed it before. I received my sample in the mail today and cannot wait to try it! 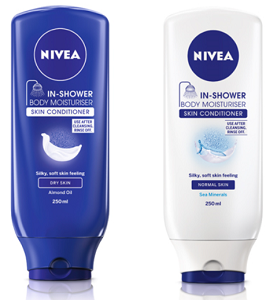 Right now, you can get a free Nivea In Shower Body Lotion Sample! You apply the lotion to your body after washing, rinse and then you are done! Sounds so refreshing, especially during this dry winter season. Request your sample here!